New commission installation for Vicinity Centres at Midland Gate Shopping Centre. Collaboration with Deep Green Landscaping. 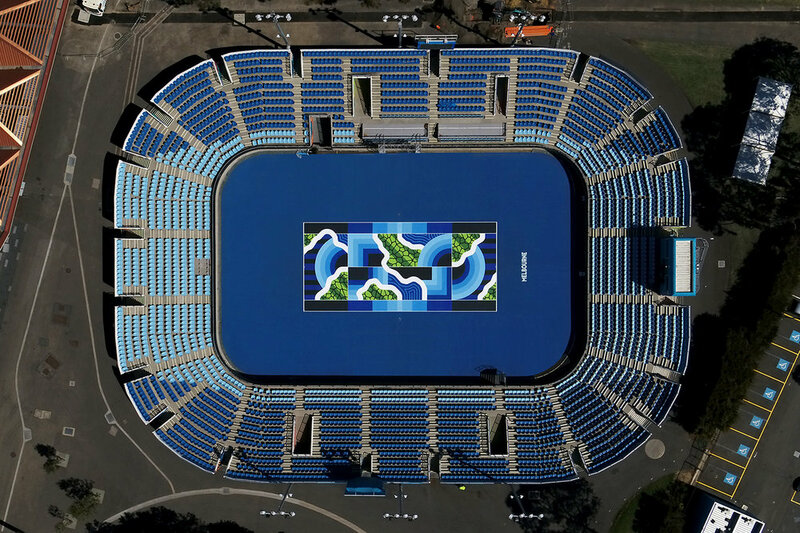 Show Court 3 at Melbourne Park painted for Tennis Australia for the launch of Australian Open 2019..